BKP Media Group has successfully developed a clear strategy platform to evolve perfect ‘sonic’ solutions for its clients. Allow our specialists to create a unique audio branding solution for your company to stand out in the mind of your target audience. We will work with you closely to ensure your sonic logo represents you and your messaging as best as possible and that it helps you to achieve your marketing goals. Sound definitely plays a role in assisting sales but there is more to it than just that. just as one aspect of your does not define you as a person, the brand is not defined by the sound alone. Sonic branding takes the entire catalogue of the company’s sounds, from the promotional to the functional and offers a systemic approach so that the company is perceived the way they intend to be. BKP Media Group has created many award winning and unique sonic logos including Du, One tv, Emirates, Mubadala, Dnata, to name a few. 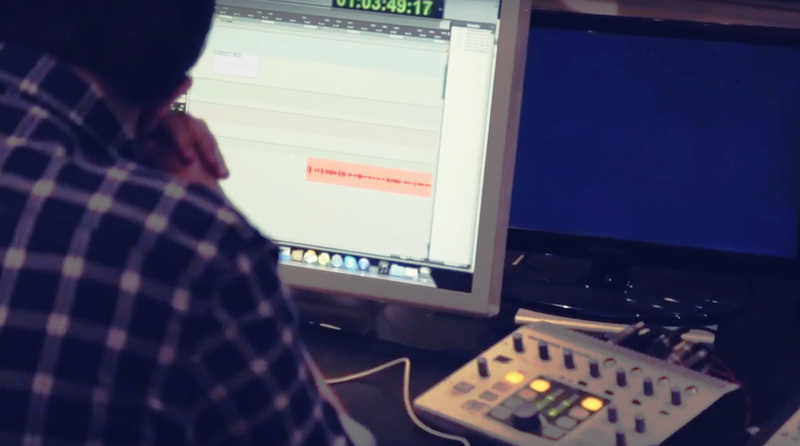 Contact us to listen to our past sonic branding work created for clients in our professional sound studio. In the same way that a company is recognised by its visual logo, a ‘sonic’ logo creates an immediate awareness of brand identity. this is known in the industry as sonic branding, a sonic logo or audio branding. Sonic branding is a great way to utilise a human being’s memory of sound to reinforce a brand or message.